Hand Foot Mouth Decease I have listen to this for years and finally I know what is it all about until my little Marcus is infected by it... He got it from sch. 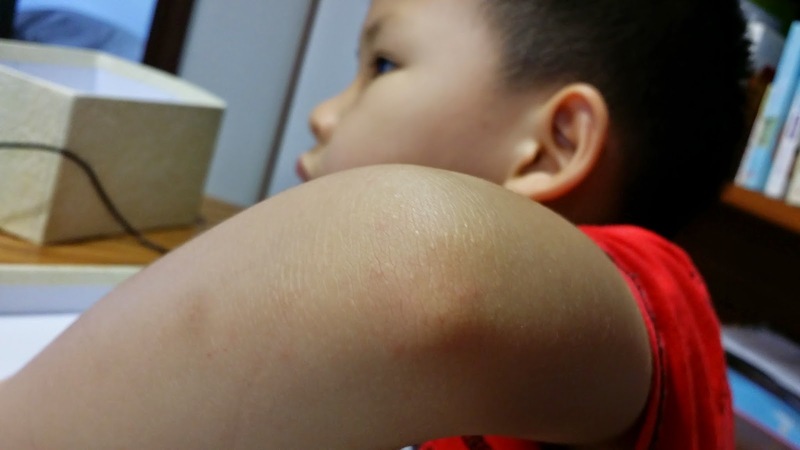 his class was informed there are 3 cases of HFMD and thus the class will be closed for a week.. after 2nd day of staying at home he compliant mouth pain while he eating some grapes then i spotted some tiny red dot on his hand and leg.. it is really little.. just 1-2 dots on hand.. and few more at his legs.. and i spotted ulcer on his inner lips too.. next morning brought him to see doctor and doctor confirmed it.. and said we need to be quarantine at home for 7 days to prevent to spread to others.. This is what I understand and told by doctor and some research online. 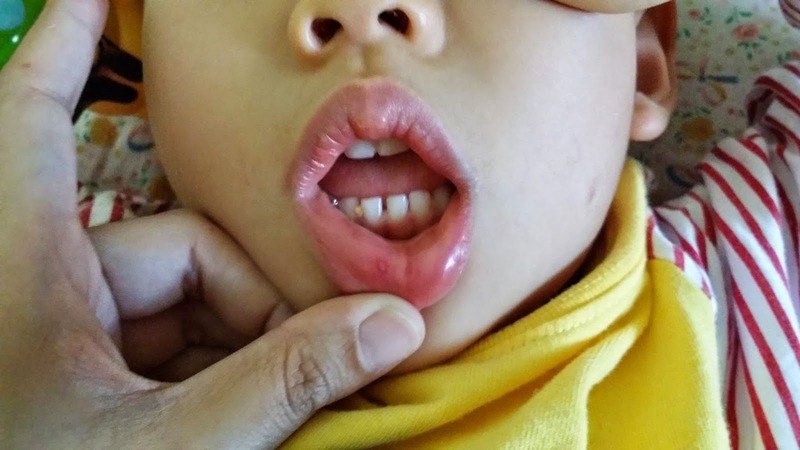 How does HFMD spread?? I need to know this as this is very important so I can prevent my 2 younger kids from it. What I did is quarantine Marcus upstairs (of course it mean that I quarantine myself together with him too :( ) and the two sisters stay downstairs. and if he went downstairs whatever he touches or walk then we will clean it with detol water to kill the germs..
here is a visible ulcer on his lips.. there are many more inside and on his throats too..
just a few tiny red spot.. can u spot them? 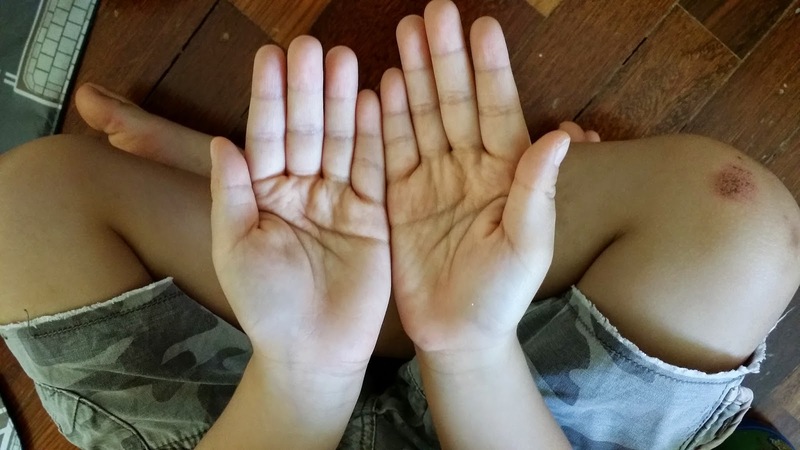 only got one spots on his right hand palm..
HFMD the spots can be also be spotted at other part of the body... for example elbows.. knees.. in between the buttock.. he got few on the elbow and knee.. none at buttock..
ok.. that's why i think i can share at the moment..